Teachers can spend a couple thousand dollars flying to recruiting fairs, paying for food and accomodation. Many times job offers have been filled before you get there and schools that previously said they'd be there aren't. It's a great way for the coordinators of the recruiting fair to make money, however, for teachers and employers it can be a waste of time and money. With Skype teachers can bypass all that. ISR wrote an article in May 2009 about Skype and Recruiting Fairs. YoYoMe's theory is that the directors like them since they get a free vacation, are lazy, and technically incompetant. My1cent believes that recruiting fairs' days are numbered. Schoolwatcher and Jot disagree with him and say that although recruiting fairs work, they expensive, time consuming, and not always necessary. Gadawg enjoyed the fairs he went to (ISS and AASSA), but said he currently got his job due to Skype and phone calls. In December 2011, 2xaround said that he often spends about $4000 just to go to a job recruiting fair. Although you may be able to have a couple interviews, things may not turn out according to plan. 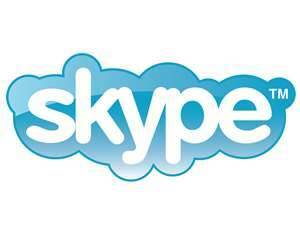 Hopefully Skype interviews will become more common for international school teachers and TEFL teachers. Take Saudi Arabia for example, if a teacher wants to work there, Skype is the way to go since getting a Saudi visa is a nightmare. Let's hope employers embrace technology since it can benefit all of us.